From time to time, it is nice to take advantage of the agent and console tasks exposed in the SCOM console to more easily accomplish some sort of remediation or to retrieve some information. I have authored agent tasks before, and they are pretty straight forward. I do not believe I have ever authored a console task, however, when I received the request from one of my peers, I figured it would be a snap. 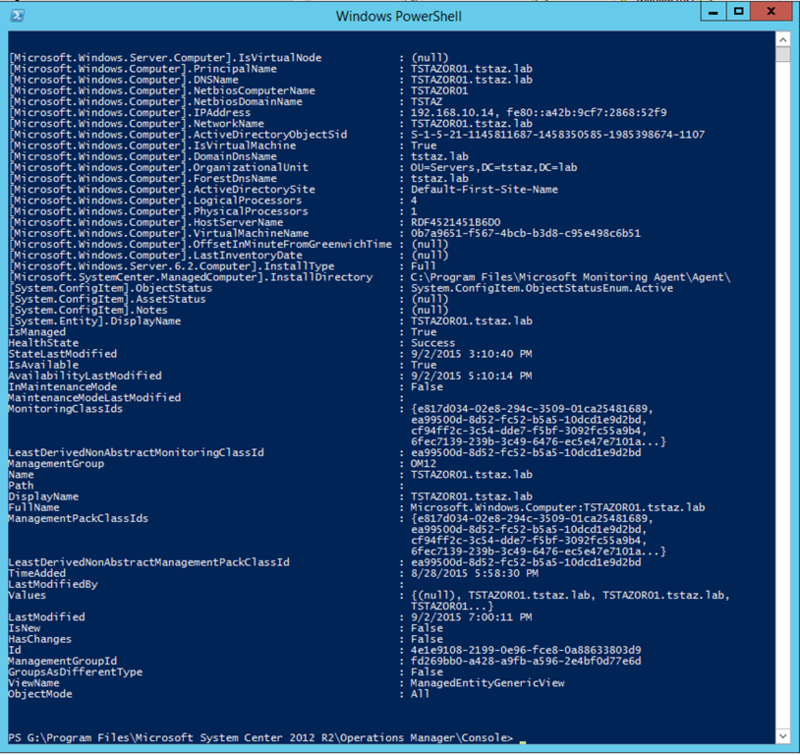 The ask was to be able to execute a PowerShell script against the SDK straight out of the console and display the results back to the user. It ends up this is not too bad, but you do have to do some digging in order to see how these tasks are actually constructed. Step one for me is to always try and find an example that I can reference. A quick Bing search did not turn up much, so I exported all of the MPs from my SCOM environment via PS and then scanned them for console tasks. 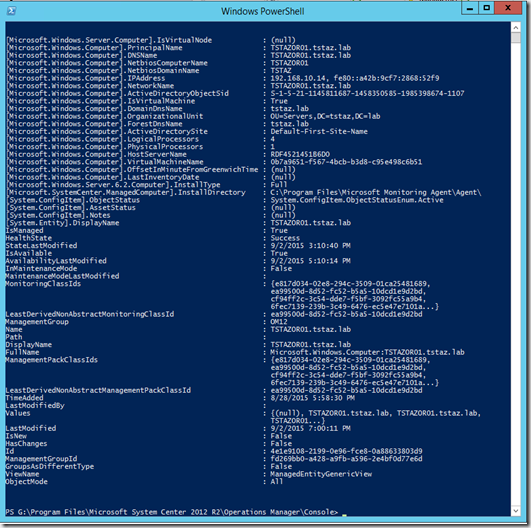 I found an interesting one in the Microsoft.Windows.Server.Library management pack. A straight forward task that simply opens PowerShell and creates a remote session on the targeted Windows Server Computer. This is essentially what I want to do, except I want to execute code against the SDK and display results rather than simply opening a remote session. I scoured my workstation, my MS servers, and the installation media for this file and I was not able to find it. I really want to track this down since this will potentially expose other types of console task types. My best guess is that this code has been relocated into some other DLL but I do not know for sure. If I find the code, I will post an update. This code connects to the SDK using whatever SDK service the machine upon which the script is being executed last connected. If multiple consoles are open and connected to multiple management groups, this approach will only work for Computer objects in the last console opened. However, this is fine for demo purposes and my lab since I only have a single environment. There are all of the properties for the selected Windows Computer. Results!